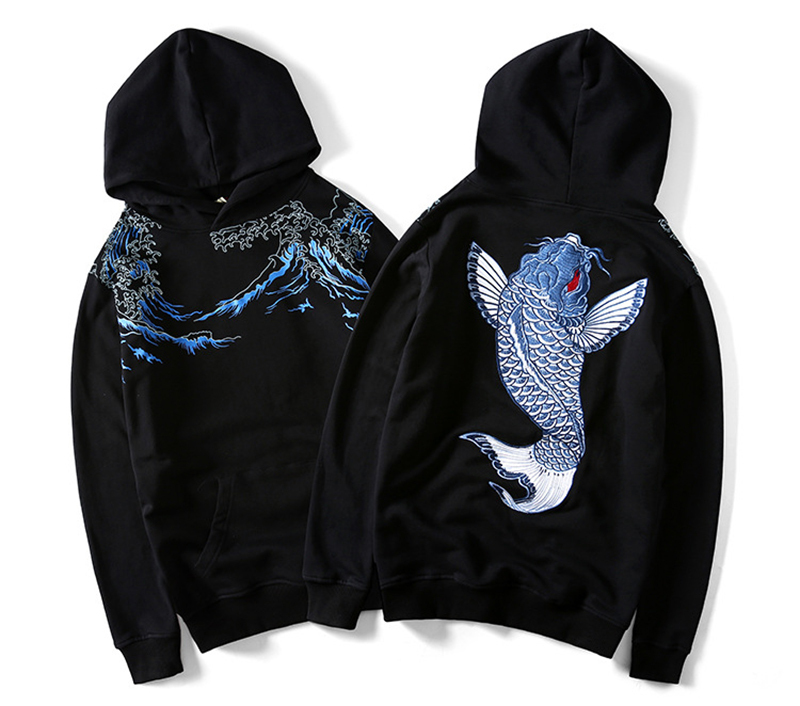 Hoodies for Men presents this quality 2019 Mens Japanese Embroidered Carp 3D Hoodie. Ideal as a streetwear or designer hoodie or just a casual hoodie for around the house, its fun to wear. The hoodie has quality double stitching and high-quality that won’t wear or tear for years to come. hoodie is perfect. exactly as it is described. very good quality. i paid 52$ for shipping within 2 weeks and it took 4 so that was a waste of my money. i will buy more hoodies but i’m not paying extra for shipping ever again! Size small US here, size large fits perfectly. Delivered by courier, well packed, in 3 weeks. Good quality, nice embrodery. Item and store recommended. Отправили кабанчиком, трек отслеживался тоси-боси, прибыла с человечком доставкой прямо на работу. По размеру немного в плечах великовата но буим надеятся что после стирки подсядет. Рыбка вышита сочно, ткань не воняет.